Online Application Details for Indian Army Recruitment of 50 NCC Men and 4 NCC Women is given below. 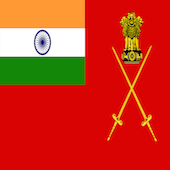 Application form and duly attested documents are to be sent to Dte Gen of Recruiting/ Rtg-A, NCC Entry, AG’s Branch, IHQ of MoD (Army)’ West Block-III, R.K. Puram, New Delhi-110066. In envelope super scribed with 'Application for the Post of Post Name'.